Published: Dec. 10, 2017 at 03:57 p.m.
Dallas Cowboys tight end Jason Witten hauls in a stellar 20-yard touchdown grab from Dak Prescott in Week 14 of the 2017 season. Published: Nov. 30, 2017 at 09:20 p.m.
Dallas Cowboys quarterback Dak Prescott throws it to tight end Jason Witten for an 8-yard touchdown. 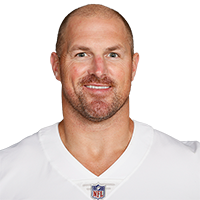 Published: Oct. 23, 2017 at 05:12 p.m.
Dallas Cowboys tight end Jason Witten makes one-handed TD grab. Published: Sept. 17, 2017 at 08:06 p.m.
Dallas Cowboys quarterback Dak Prescott gets a ton of time in the pocket and delivers a 28-yard touchdown pass to tight end Jason Witten.